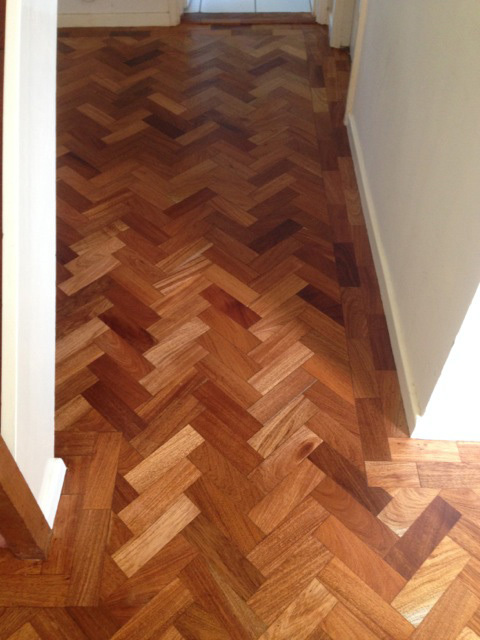 Wooden floors endure a great deal of traffic, with stains, scratches, scrapes and the constant thoroughfare of everyday activity leaving them worn and damaged. 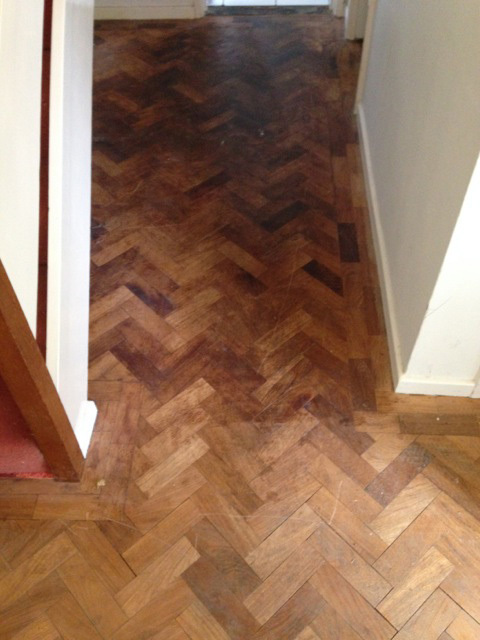 After years of usage they can look dull and very worn. 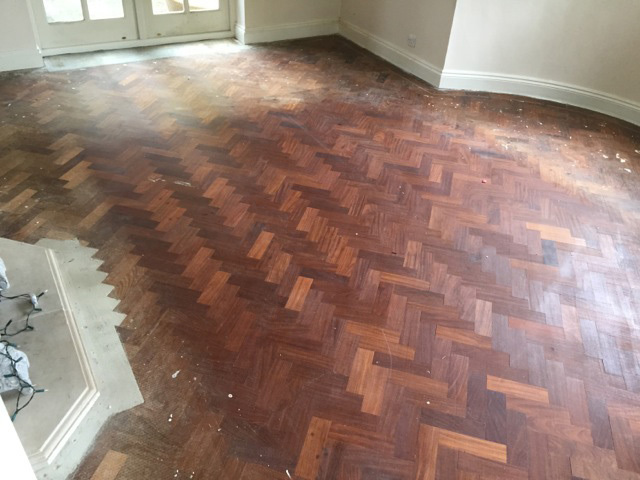 Hard flooring is definitely more hardwearing than carpet, but being a natural product, they also need some care and will look wonderful with a small amount of treatment and care. 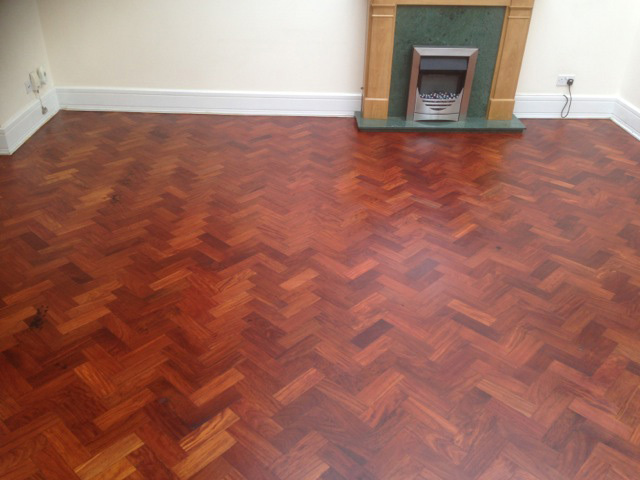 In our vast experience, we’ve contended with the minimal to the extreme; restoring and finishing wooden floors of all types to prime condition, whether recently installed or decades old. 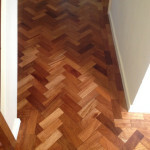 At Maxymus Floorcare, we work with floors of all ages. 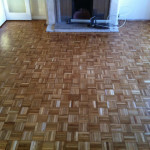 From parquet flooring to pine and oak floorboards. Whether they are 5 years old or 55 years old, we will spend the time needed to ensure the quality is brought back to a beautiful condition that you will be completely happy with. 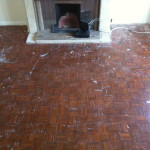 We take great care in sanding your floors first. 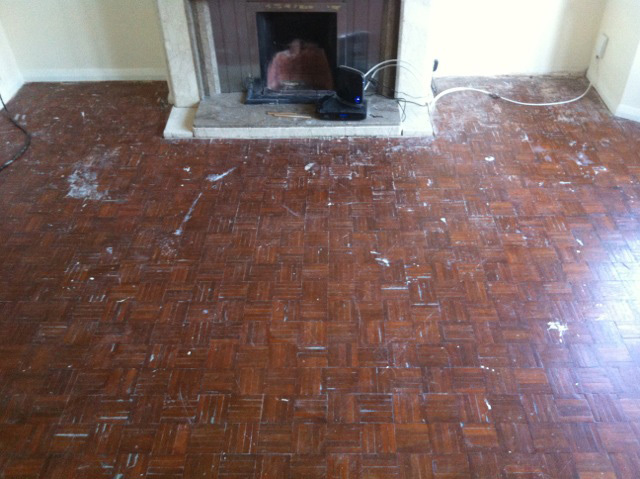 Furniture will need to be moved into other rooms while the sanding is being completed. 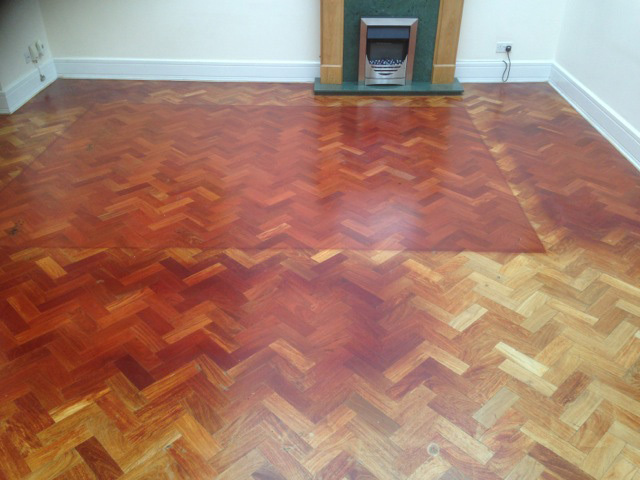 Floor sanding is 98% dust free, so you won’t find dust throughout your home. It can be a bit noisy while this process is happening, so please take this into account when booking our services, if you have children, older people or nervous animals living at home. 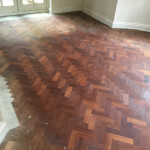 We will remove all the old varnish or oil, smooth the wooden flooring and ensure it is of a suitable condition to accept the new floor refinishing. 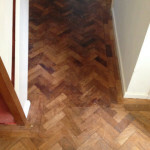 this may be an opportunity for you to choose a different style of finish, whether it is a different colour varnish, or perhaps an oil instead. 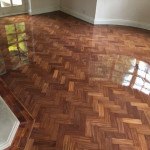 Using either a hard wearing water based varnish or voc free oils, once the floors are fully sanded and clean, we will apply at least 2 coats of your choice of finish. 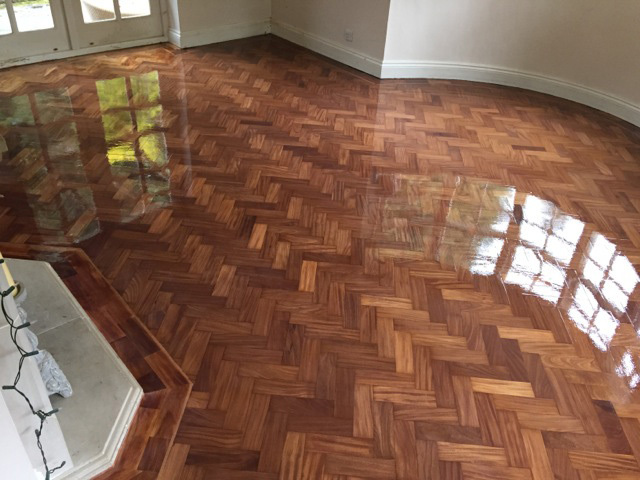 If your floors have been varnished, then you will need to leave a full 24 hours before replacing your furniture or walking on the newly finished floors, to avoid spoilage of the new varnish. 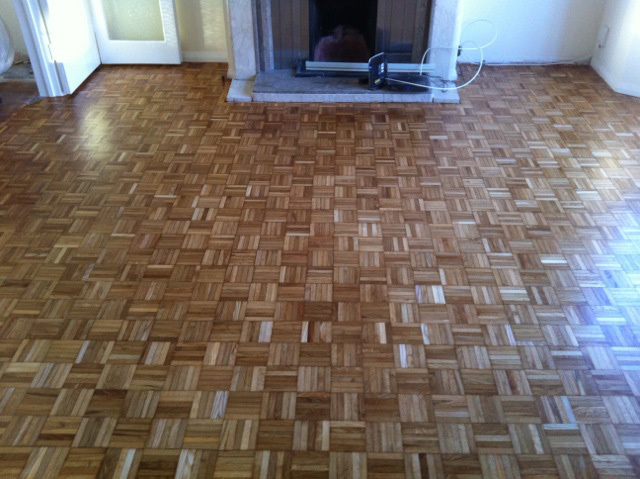 If you have chosen to have the floors waxed, then 6 hours will be enough before you can walk on them, but we recommend waiting for 12 hours before replacing your furniture. 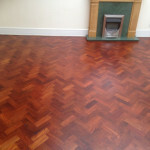 Maxymus Floorcare are based in North London and primarily work in London and Hertfordshire. 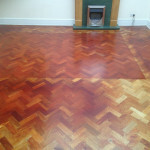 Please call us on 0208 166 5136 if you would like to ask a question, request a quote or make a booking for floor sanding and polishing.